Peter Maxwell Davies was born in Salford in 1934. He took piano lessons and then started composing from an early age. He studied at the Royal Manchester College of Music with the likes of Harrison Birtwhistle and Alexander Goehr. After his graduation he moved to Rome and studied with Goffredo Petrassi. In 1962 he moved to Princeton University studying with Roger Sessions and Milton Babbitt. He then moved to Australia, becoming the Composer in Residence at the Elder Conservatorium of Music in the University of Adelaide. In 1970 he moved to the Orkney Islands in Scotland, and these islands have been his home ever since. He first, in 1971, rented a croft named Bunertoon on the clifftops of the island of Hoy, overlooking the Pentland Firth. It was sparsely renovated in 1974. He later moved in the late 1990s to the northern island of Sanday. The Orkneys have had a profound influence on Maxwell Davies’s music. Since his move to Orkney, Davies has often drawn on Orcadian or more generally Scottish themes in his music, and has sometimes set the words of Orcadian poet and author George Mackay Brown. Maxwell Davies’s Sixth Symphony, which was completed just at the time George Mackay Brown died, is dedicated to his memory. He retains close links with the St Magnus Festival, Orkney’s annual arts festival which he founded in 1977, and is the Composer Laureate of the Scottish Chamber Orchestra. 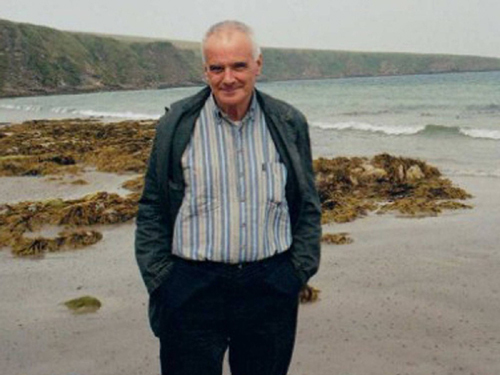 Maxwell Davies was appointed Master of the Queen’s Music in 2004 in which role he has sought to raise the profile of music in Great Britain, as well as writing many works for Her Majesty the Queen and for royal occasions. He is composer/conductor laureate of the Scottish Chamber Orchestra and is among the most honoured musicians in the world, holding more than 40 doctorates from universities including Oxford, Cambridge, Edinburgh, Glasgow, Aberdeen and Heriot-Watt as well as the Royal Conservatoire of Scotland. An association with the Scottish Chamber Orchestra which yielded the ten Strathclyde Concertos, in turn furnished a formula for the ten Naxos Quartets two decades later. His most popular work, An Orkney Wedding With Sunrise, includes a Scottish bagpiper and is one of the most widely performed pieces of classical music the world over. You are currently browsing the archives for the Peter Maxwell Davies category.